On Saturday October 25 the doors of Time Warp home base Maimarkthalle will be opened for a very special occasion: Sven Väth is celebrating his 50th birthday with some friends over for a night out. On Saturday October 25 the doors of Time Warp home base Maimarkthalle will be opened for a very special occasion: Sven Väth is celebrating his 50th birthday. Next to a supreme lineup of Richie Hawtin, Luciano, DJ Koze, Alex Azary and of course Sven Väth himself, the audience can expect an out-of-this-world stage-design. The renowned artist Tobias Rehberger (director of the Städel museum Frankfurt) will develop and build a breathtaking stage setting for this event. Sven Väth can already look back on half a century full of joy, madness and decades of music history he has influenced. An estimate of 4,000 DJ gigs in over 32 years is probably low. 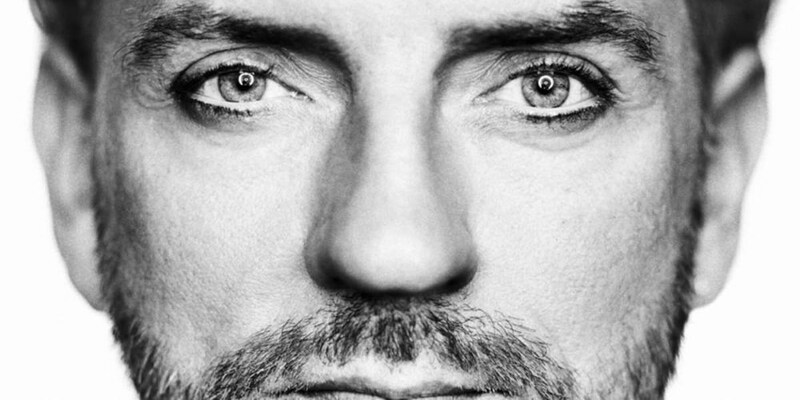 Exploring disco, wave, house, techno and all the countless sub categories these genres offer, Sven Väth has had a hand in some legendary institutions and names: EyeQ, Harthouse, OFF, Dorian Grey, Omen, Love Parade, Green & Blue Festival, Love Family Park and the legendary Cocoonclub in Frankfurt. The ongoing monster that is Cocoon Ibiza is rumbling and rolling through a 15th amazing season. Music was the life and music formed a man who has become one of the most important and influential artists in modern Germany, an activist still looking forward and still not slowing down. When a man like Sven Väth is celebrating such a special date be prepared for the unexpected. Magic and madness will ensue, no doubt. The Time Warp team are the choice partners in crime for this big bang happening on October 25. For most of us the success of the Mannheim Time Warp series will always be linked to Sven Väth's appearances at the festival. Sven Väth and Time Warp brought the German Gude Laune (good mood) to our attention and this has become a running gag and theme these days for many ravers and clubbers. It does not take a prophet to predict that we are approaching another milestone in the history of club music. Sven Väth will host the night and present a special program together with Richie Hawtin, Luciano, Alex Azary and DJ Koze. And artist Tobias Rehberger (director of the Städel museum Frankfurt) is developing a special stage design only for this event. Techno would be different without Sven Väth. A true pioneer and innovator who always pushes the boundaries further and follows his visions. The boss turns 50 and we will celebrate with him. We salute you Sven and will travel with you on the next big journey. Tickets for this event are selling fast. Early bird tickets have already sold out, so move quickly.